A.W.A.K.E's Resort '19 collection features more fitted silhouettes than we've seen in previous seasons, but still has plenty of designer Natalia Alaverdian's own unique twists. 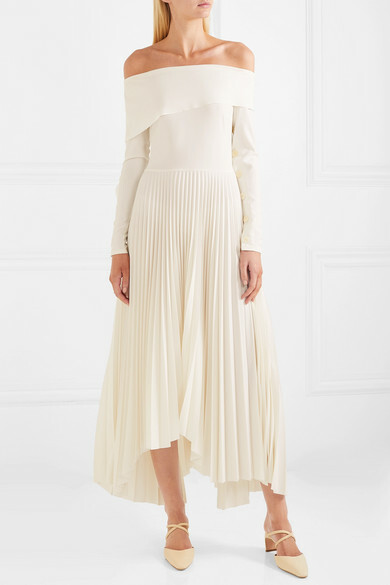 This dress is made from lightweight crepe de chine with a second-skin bodice, flaring out into a swishy asymmetric pleated skirt. 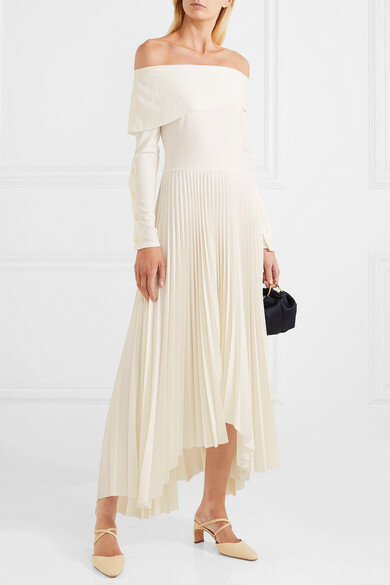 It has a layered off-the-shoulder neckline and oversized tonal buttons along each sleeve. 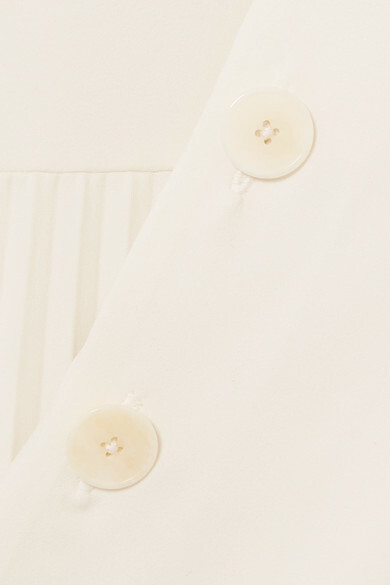 Style this piece with heels to create a little more movement through the skirt when you walk. Shown here with: The Row Tote, Rosetta Getty Mules.